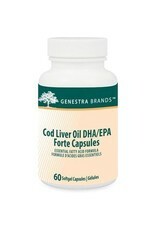 Genestra Cod Liver Oil DHA/EPA Forte Capsules is an effective blend of DHA, EPA, and vitamins A and D that helps maintain optimal health. Vitamin A is involved in oral immune tolerance and helps maintain the integrity of the intestinal epithelial barrier by enhancing regulatory T cell activity and immune function. Vitamin D helps absorb and use calcium and phosphorus, which are required for normal bone mineralization, and mediates bone remodeling by promoting the activity of bone cells. 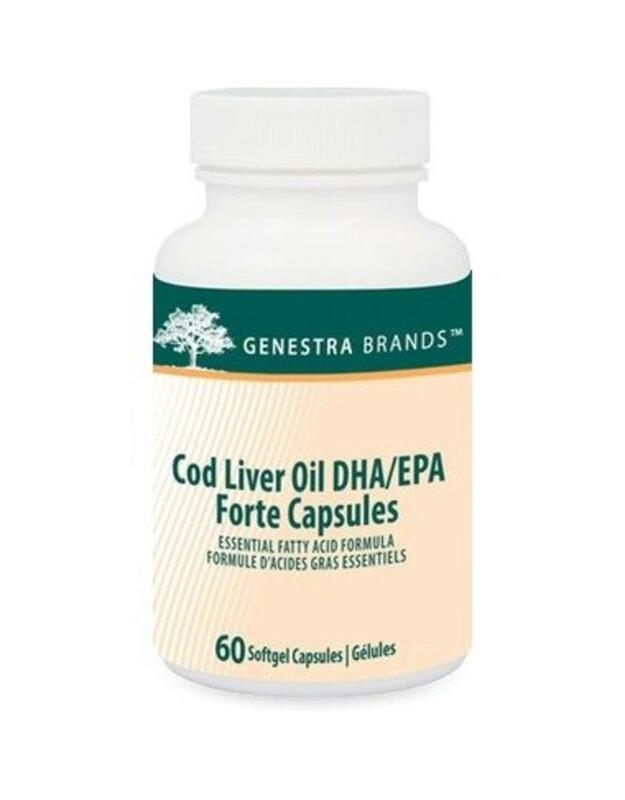 DHA and EPA support cognitive health, and their supplementation has been associated with the maintenance of neuron function in the hippocampus, a region of the brain associated with memory.